Constable Fabrice Georges Gevaudan, 45, responding to the call was shot and killed by the heavily armed gunman. 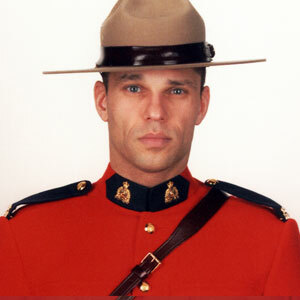 He was born in Boulogne-Billancourt, France and joined the RCMP after receiving his Canadian citizenship. Upon graduation from the RCMP Training Academy “Depot” on February 11, 2008, Cst. Gevaudan was posted to “J Division”, New Brunswick, namely at the Codiac Detachment where he worked in General Duty Policing. Cst. Gevaudan is survived by his wife and young step-daughter. Our condolences go out to his family, friends, and colleagues.